Many of the distinctive institutions and ideals of the modern West, such as parliaments, universities, individual rights, civic virtue, the dignity of labour, due process of law, the techniques of capitalism and the concept of insurance, trace their lineage to the medieval period. The glories of medieval art – the great cathedrals, Gregorian chant, calligraphy and book illumination, the liturgy – have left a lasting imprint on the artistic traditions of our culture. The Pontifical Institute of Mediaeval Studies is dedicated to transmitting the inheritance of the Middle Ages to new generations; to deepening our understanding of the life and ideals of Western culture in the time of its first youth. The Institute of Mediaeval Studies, the oldest humanities research institute in Canada, was founded in 1929 under the auspices of St. Michael’s College and the Congregation of the Priests of St. Basil (CSB). The original foundation was principally the work of Etienne Gilson from the Sorbonne and the Collège de France, of Henry Carr, CSB and Edmund J. McCorkell, CSB from St. Michael’s College, and of Gerald B. Phelan, a graduate of Louvain. They planned an institution that would provide the essential resources for scholarly research and publication, attract research scholars, and offer academic programmes for a limited number of students on the graduate level. Observing an increasing interest in the Middle Ages, the founders knew that the achievements of that complex era would not be truly understood until scholars were properly trained to read and to interpret documents and other primary sources of the period. The new technological developments of microfilming and photocopying made possible the implementation of the necessary programmes in an institution geographically remote from archives, libraries, museums, and other depositories of the primary materials. The Institute progressed so well in its first ten years that, in 1939, it was honoured with pontifical status. As the Pontifical Institute of Mediaeval Studies, it was to be regulated by pontifical Statutes and its governing Council empowered by charter to grant the pontifical Licence in Mediaeval Studies and Doctorate in Mediaeval Studies. Since 1939, the Pontifical Institute of Mediaeval Studies has remained a relatively small, autonomous academic community with no departmental divisions. It continues primarily to conduct research along historical lines into the culture and institutions of the Middle Ages and to publish the fruits of that research. It also instructs and directs graduate students and fosters the work of post-graduate scholars in all areas of medieval studies. In 1979, the Institute’s focus of research and teaching was formally acknowledged as a field of academic endeavour in itself by the papal constitution Sapientia Christiana. 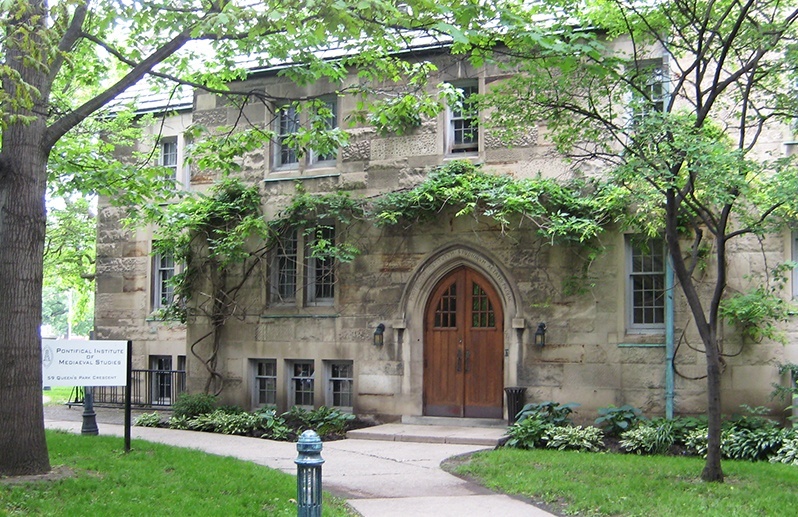 In the late 1960s a group of medievalists headed by the historian, Bertie Wilkinson, formed the Centre for Medieval Studies in the University of Toronto. This posed the problem of working out a relationship between the two institutions, which was settled openly and amiably. From the beginning, the Centre shared the Institute's facilities and personnel. The academic programme at the PIMS had long had close ties to the Graduate School of the University, especially in philosophy and history. 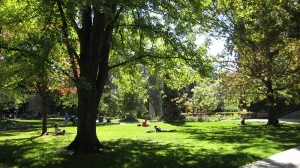 Students took many courses in the departments of the University, and professors at the Institute were status-only members of the Graduate School. The two institutions had distinctive and complementary programmes, making possible joint admissions and academic agendas, with the Licentiate offered as an alternative preparation, in part, for doctoral research in the University's Graduate School. 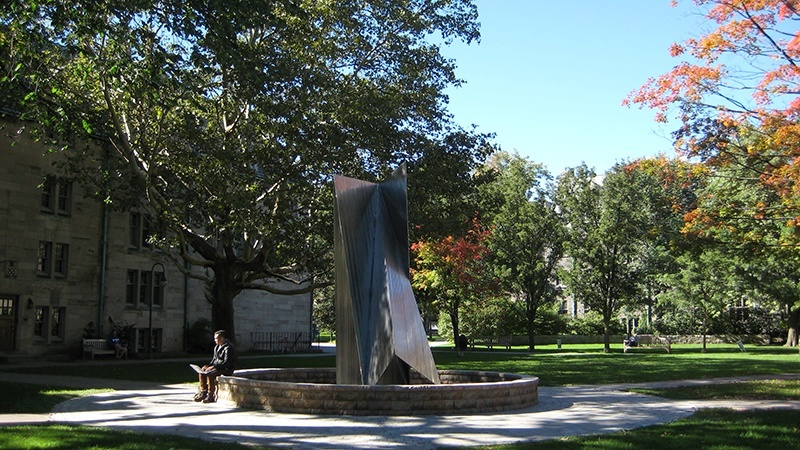 All Institute students and faculty became members of the Centre, students became eligible for University bursaries and scholarships, and holders of the License were deemed to have fulfilled a substantial portion of the requirements for the University of Toronto doctorate. This situation obtained for some twelve years under the Presidency of L.K. Shook, CSB a Harvard-trained philologist and scholar of Early English. On his retirement Edward Synan, a philosopher, succeeded him, and in 1979 Ambrose Raftis, historian, was elected to the presidency. In those years strains in the relationship with the Centre began to show, culminating in 1996 in termination of the collaborative programme. The disagreements leading to the final rupture are necessarily complex, but internal competition for University funding and diverging academic priorities must both figure in any comprehensive account. With this event the Institute was returned to its original status in St Michael's College. At present, the Institute has concentrated on maintaining its new post-doctoral Licentiate programme which, with generous support from the Andrew W. Mellon Foundation of New York, has proven itself an important adjunct to the training of young scholars; on makings its rich library resources available to medievalists from across the world; and on continuing the vigorous publishing programme it began in 1955 through new and enduring scholarship devoted to the Middle Ages. 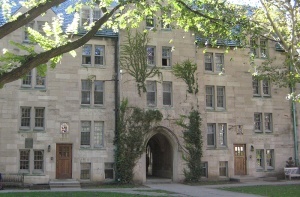 In 2004–2005, and in collaboration with the University of St Michael's College, the Institute sought separate civil incorporation in the Province of Ontario. 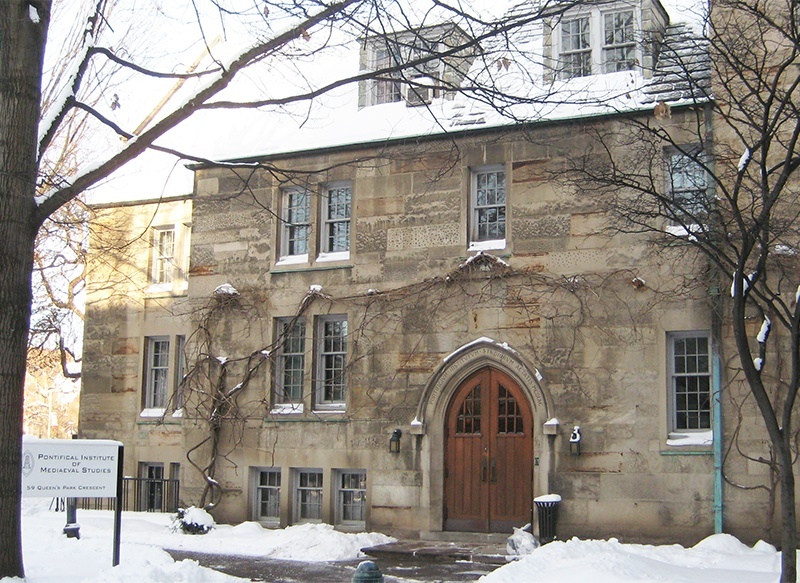 This addressed certain canonical issues attendant upon significant alterations in the governance of the University, while leaving the Institute closely affiliated with St Michael's and, through that affiliation, with the University of Toronto. On 15 December 2005, Royal Assent was granted to An Act to incorporate The Pontifical Institute of Mediaeval Studies, Ch. Pr 10 of the Statutes of Ontario 2005. The Act created a Board of Governors for the Institute, whose elected members are: Mrs Nicole Eaton (Chair), The Hon. Henry N.R. Jackman, OC, O.Ont., and Dr Hans Guenther Abromeit. The ex-officio members are the following: Most Rev. John Boissoneau, DD (Chancellor's appointee), Very Rev. Kenneth Decker, CSB (Superior General, Congregation of St Basil), Rev. James K. McConica, CSB, OC (Praeses, PIMS), Mr W. Frank Morneau (Chair of the Collegium of the University of St Michael's College), Dr Richard Alway, OC, O.Ont. (President, University of St Michael's College), and Mr William H. Broadhurst (Treasurer, The Mediaeval Studies Foundation). The Institute retains direct relations with the Apostolic See in Rome through its Chancellor, the Archbishop of Toronto, and the Sacred Congregation for Catholic Education, which approves its Statutes. The Chancellor ordinarily presides at Convocations, and otherwise provides the official link for communication between the Institute and the Holy See. 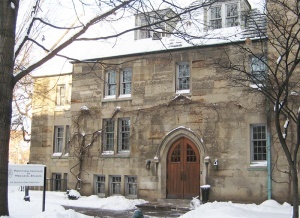 In 1964, the Pontifical Institute of Mediaeval Studies assisted in the establishment of the Centre for Medieval Studies in the School of Graduate Studies of the University of Toronto. It made available for its programme the Institute’s personnel, with the Institute’s library and related facilities. Four years later, the Centre and the Institute began to look for ways to amalgamate their academic programmes, beginning in 1969 with the merging of their Latin programmes. In 1971, a close collaboration was established whereby candidates for the Institute’s Licence Programme were admitted through the Centre’s Admissions and Fellowships Committee, which included Fellows of the Institute and ex officio the Institute Secretary. Such candidates were subsequently admitted by the Council of the Institute as Junior Associates, who followed the Institute Stream in the Centre’s programme. Other Centre students followed the Centre Stream. 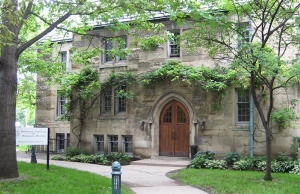 Students in both streams were graduate students of the Centre for Medieval Studies in the University of Toronto. This collaborative programme was varied in detail and renewed on several occasions, the last of which was a six-year Memorandum of Agreement in 1990 approved by the Governing Council of the University of Toronto and the Council of the Pontifical Institute of Mediaeval Studies. 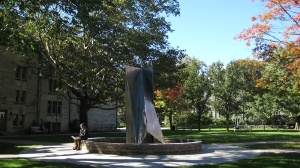 In 1995, the University of Toronto requested that the relationship be placed on a new basis, and the Memorandum of 1990 was not renewed in 1996. The new Licence in Mediaeval Studies of the Pontifical Institute signals a return to its academic autonomy. 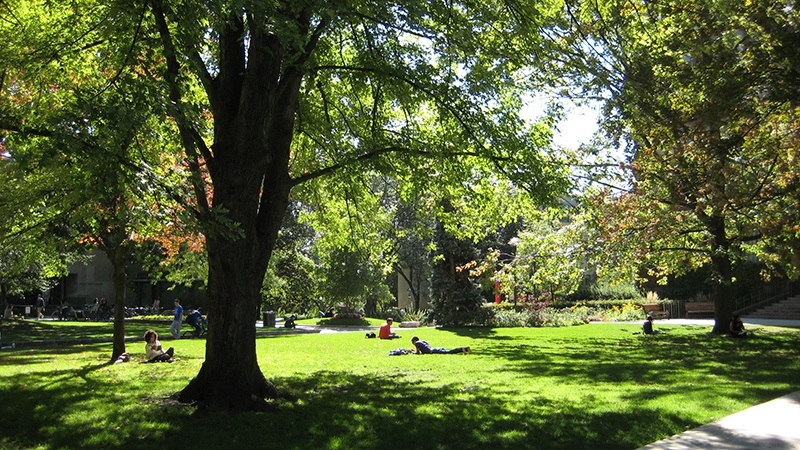 Fellows of the Institute may or may not teach courses for the University of Toronto, but the Institute’s activities and academic programmes (described elsewhere in these pages) are independent of the University. The Interdisciplinary Research Seminar and lectures sponsored by the Institute are open to all qualified medievalists, and those in the University are especially welcomed; please see the Calendar for details. The Institute also makes its Common Room available for functions of the Centre for Medieval Studies and to its students. The University, in welcoming the new programme, regards the Institute’s Research Fellows as Visiting Scholars, with corresponding access to the University’s resources, including the University Health Insurance Plan.